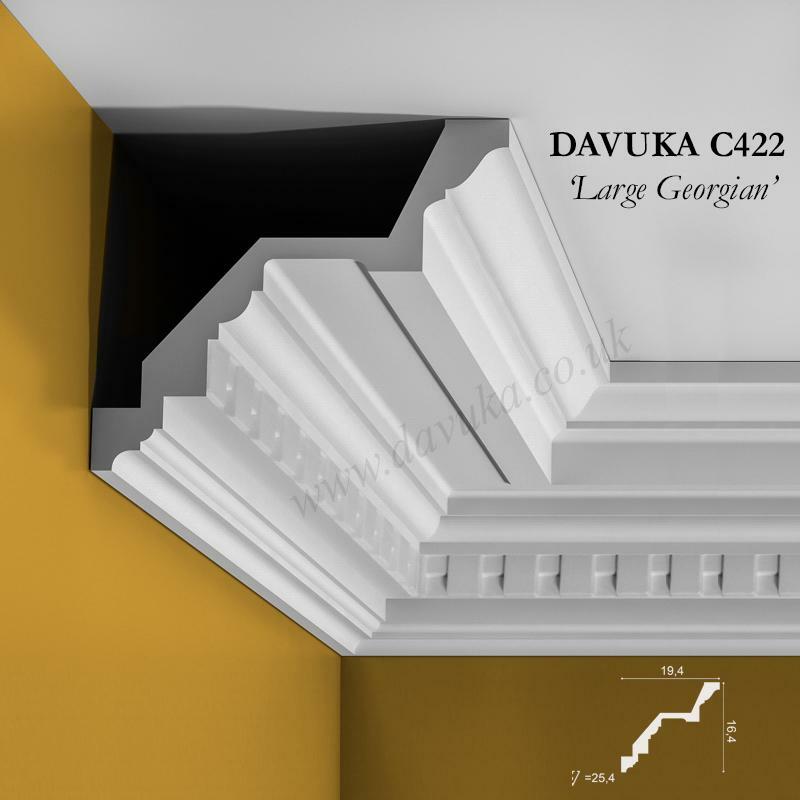 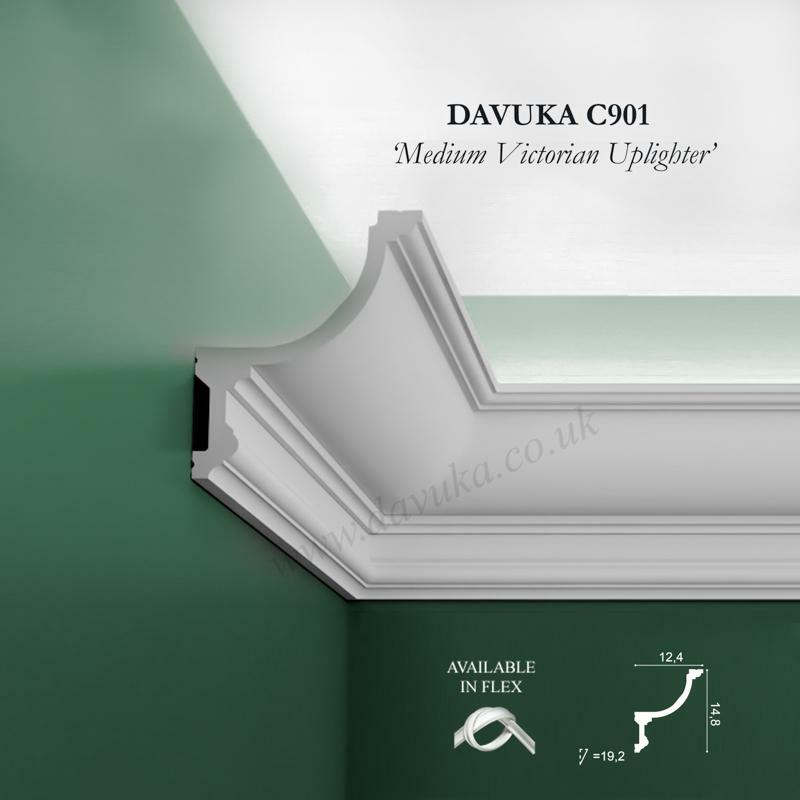 The C341 is the smallest profile in our new “Heritage” design range featuring a deep, asymmetric curve inspired by the rich, traditional styling of English country houses and which gives the cornice an even more pronounced sense of depth for an extradimensional effect. 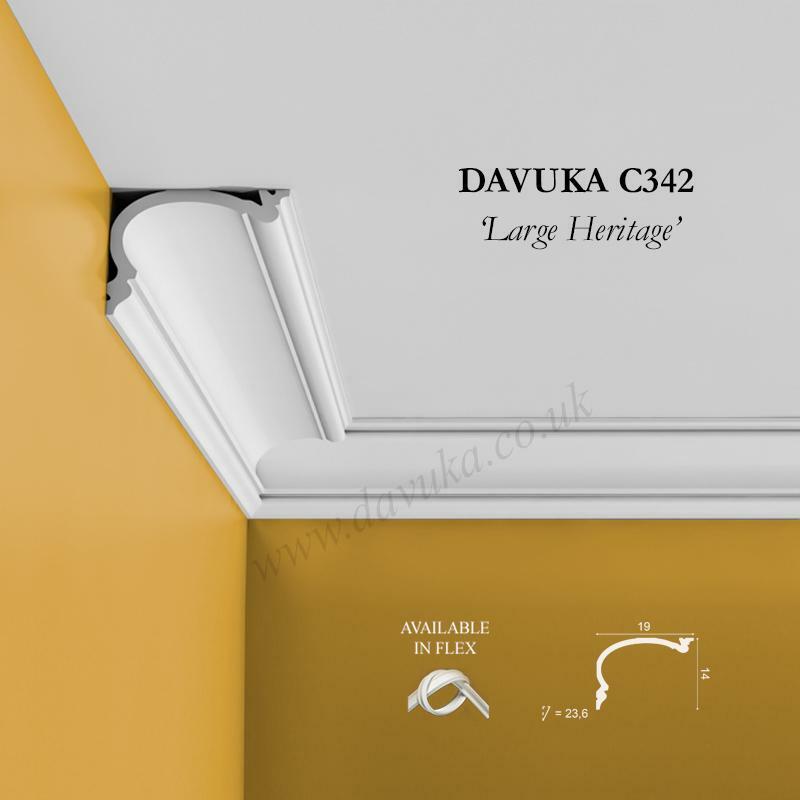 The C341 is equipped with a secondary mounting point allowing it to be fixed away from the wall (solely to the ceiling) if required, in order to run a curtain pole or blinds behind. 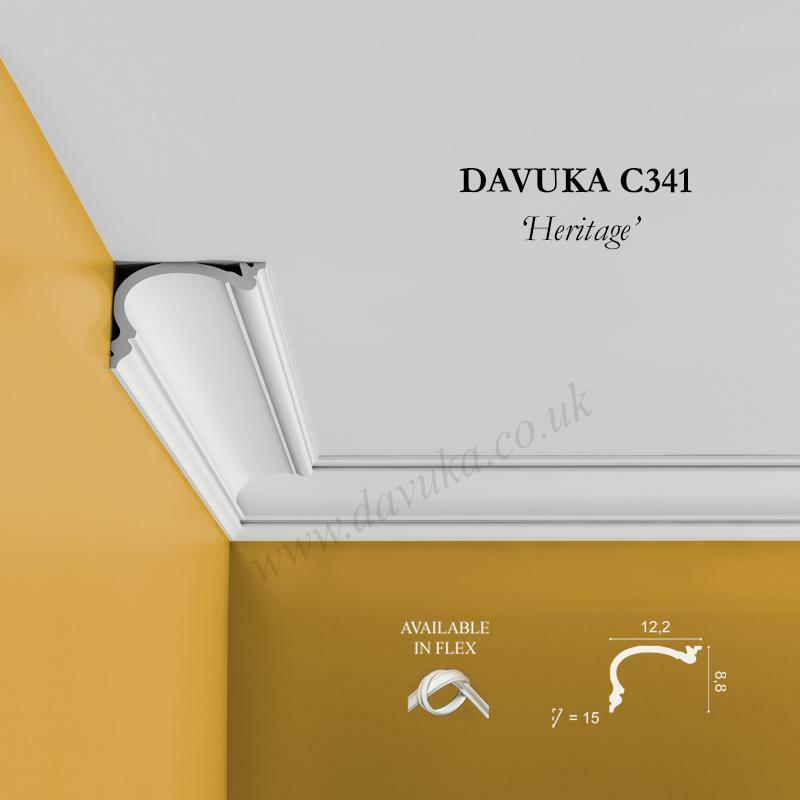 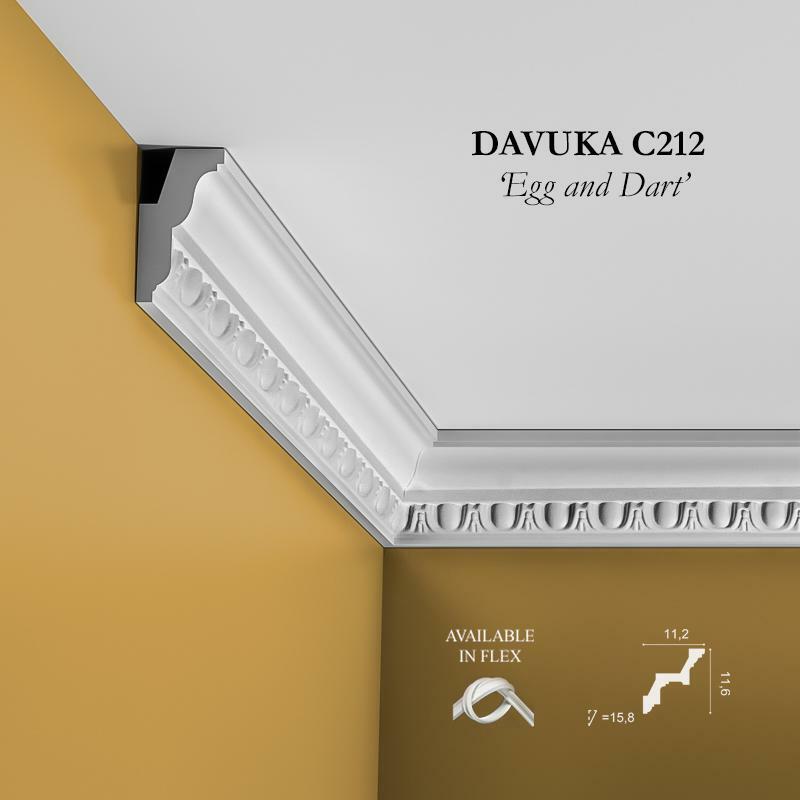 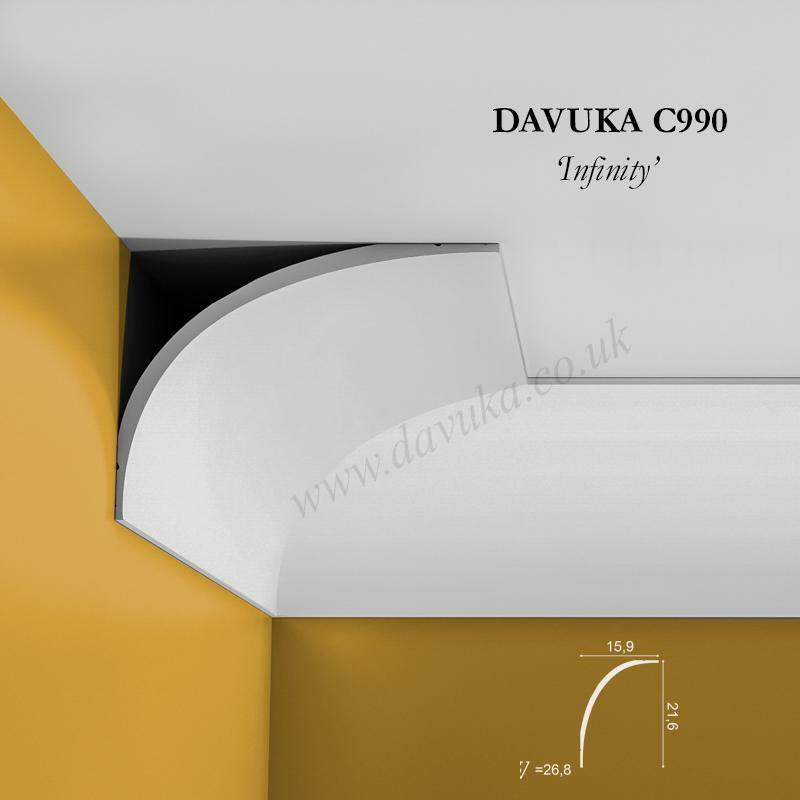 Using Correct Adhesives for the C341 ‘Heritage’ cornice – IMPORTANT!